Due to the advancing digitalization, smart manufacturing becomes everyday more concrete. Thanks to digital technologies, in these past years manufacturing has evolved, reflecting more and more the ideal of Industry 4.0. Internet of Things and Big Data have become the focus of industrial automation solutions, aiming to make the production process more autonomous and efficient. This is what we call smart manufacturing. With its last generation technologies, ESA Automation actively contributes to promote smart factory and 4.0 production. These are 5 ESA Automation solution for smart manufacturing. Everyware remote maintenance platform is one of the most relevant solutions designed by ESA Automation for smart manufacturing. This software optimizes production and helps to build a more connected and autonomous system. And there’s more. Everyware improves cyber security as well, another fundamental aspect in 4.0 manufacturing. 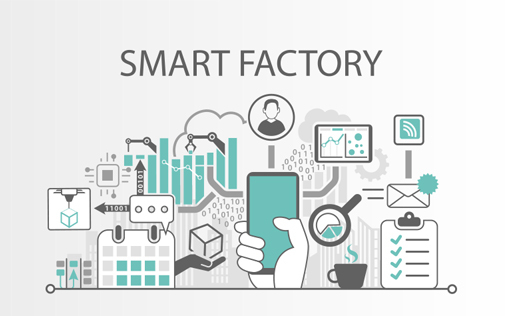 Smart energy is one of the foundations of smart factory. This is why ESA Automation has developed a line of solutions for Energy Management that allows to operate a continuous diagnosis of energy consumption. Thanks to such a complete range of products based on the connectivity and openness principles of IoT, ESA Automation supports interconnected and efficient production. Safety, openness and efficiency: these values have inspired our Cloud service. Through standard MQTT and AMQP protocols, it enables data acquisition from any desktop or mobile device, anywhere in the world. The hw and geographic redundancy of the structure ensures unlimited connectivity, as well as maximum security in data storage. Most of all, our Cloud is the heart of an interconnected system in which the machines are able to exchange large volumes of data autonomously. In sector like food & beverage and pharma, the demand for increasingly customized solutions is constantly growing. ESA Automation’s EWDB servo motor with integrated drive is the answer to this necessity. Its user-friendliness thanks to the drive-watcher configuration software and the ability to customize the firmware and / or hardware aspect of the product depending on the client’s application, make it an ideal component for the smart factory. With Crew SCADA, ESA Automation responds to the need for a more intuitive and dynamic user experience in HMI and IPC programming. Command response, minimalistic design, interconnectivity with Android, iOS and Windows Mobile smartphones and tablets, these are factors that contribute to push the productions plant towards a smart manufacturing context. Do you want more news about Industry 4.0 and ESA Automation solutions for smart manufacturing? Keep following our blog.